I am a skincare junkie! I never used to be so obsessed, like everyone else, I simply washed my face at my mothers persistence to start. The tomboy in me just didn’t have the strong urge to be too into my skin, I figured “it’ll be alright! What’s the worse than can happen? !” Luckily, I didn’t really have to find out. I’m one of the lucky few who bypassed the MAJOR effects of acne in my teen years, but I still dealt with breakouts, blemishes and especially for me: large pores, dullness, and discoloration over the years. Being a woman of color, I know how important taking care of my skin is as I get older. Yes they do say, “black don’t crack” and I believe it! But that doesn’t mean that we get to toss skincare out of the window! As I grew older, I began to focus more on taking care of the items plaguing my skin. I grew to learn that, not every product advertised was for me. Not every YouTuber has the same type of skin, same budget or same issues so you have to learn what works for you! Which is exactly what I did. I deal with combination skin, meaning one day my skin may be oily, another it may be dry, or right in the middle. Being a native Floridian, I’m used to the weather and protecting my skin against it, so I shy away from products that = oily or TOO much moisture because I end up sweating in the sun! So I took long and hard to find products that worked for women who seemed to deal with the same issues I had, and here are the items I use and LOVE! 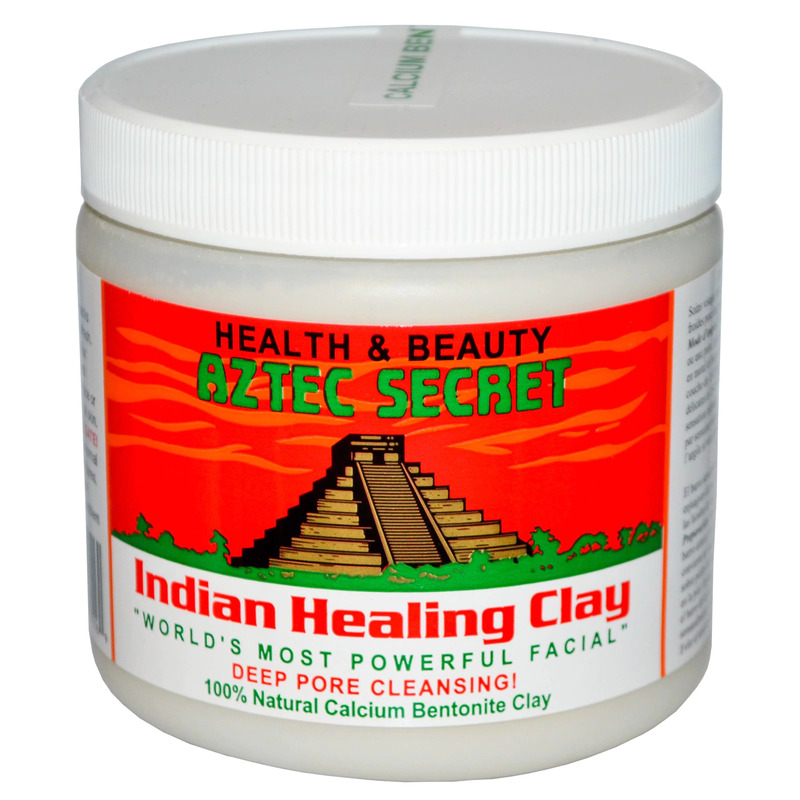 Indian Aztec Clay Mask – This awesome mask was one I was hearing about for months before I finally wised up and ordered a jar from Amazon. Great decision. Made with bentonite clay which is a “healing clay” that soaks up toxins and metals. Whether you drink or apply it to your skin, this mask is will soak up all. Paired with a bit of Bragg’s ACV (my skin can handle the strong ACV, some use water instead! 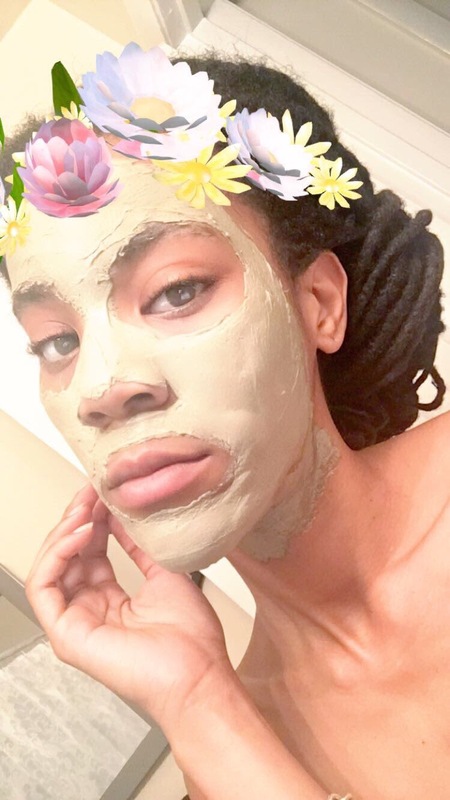 ), this clay mask should be mixed with a plastic spoon or applicator and never with a metal spoon, as the bentonite clay will soak up the metals and becomes less effective. After mixing and applying to your skin, the mask will harden over the next 10-15 min, leaving your skin tight. Once dry, flake off mask and rinse your face with lukewarm water. This mask has been amazing for my large pores and once I rinse it all away, my skin feels squeaky clean and renewed. I got a lb here for only $10! I’ve been using my huge container for over 6 months now and I’ve barely scratched the surface! 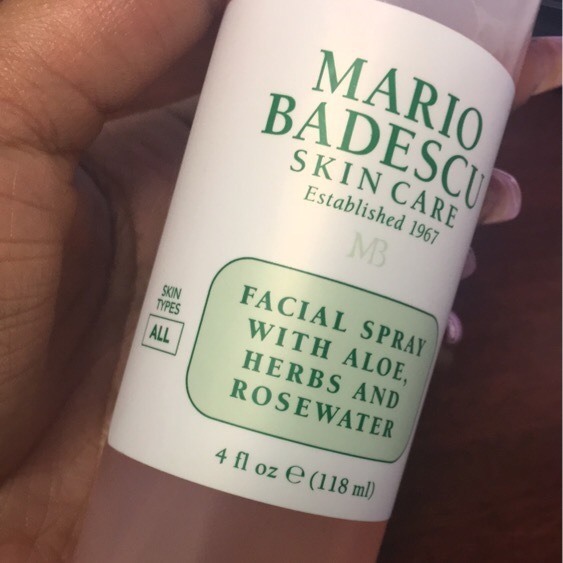 Mario Badescu Rose Water Facial Spray – I continued to see this product everywhereeee! I recently became enamored with rose water products. 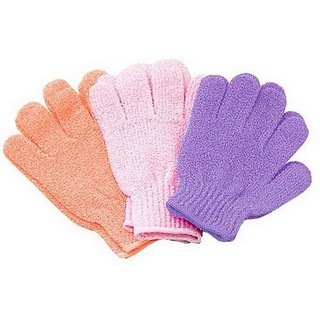 The gentle scent, the light consistency, and soothing benefits make it a must-have. Rose Water has the following benefits: Balances pH, believed to reduce redness and irritation, anti-inflammatory and hydrates! You must be certain that you are getting a rose water item without alcohol! This spray was only $7 @ Ulta and the bottle was bigger than I expected! I spray on a bit when I’m in the sun or just need a light refresher! The gentle scent left behind is even more soothing than the initial spray! 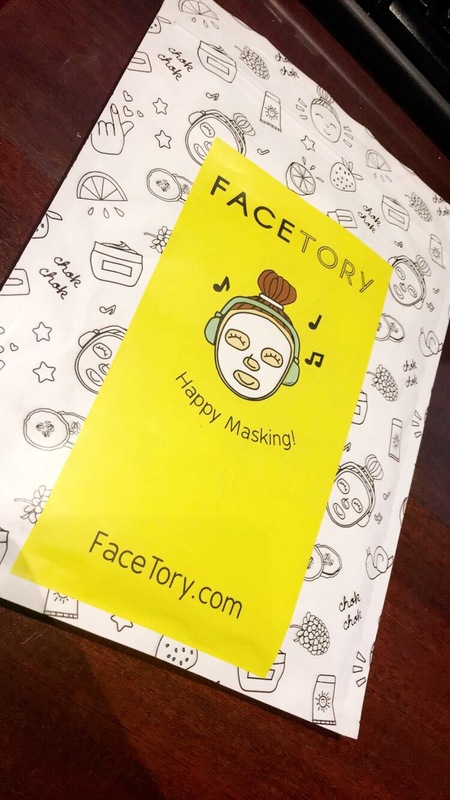 Facetory Sheet Mask Subscription – So I’ve recently been getting into K-Beauty. What’s K-Beauty you ask? 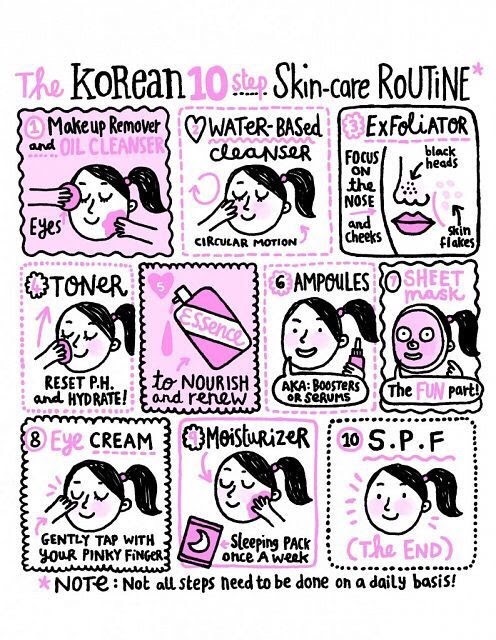 K-Beauty is based on Korean skincare products and practices, as Korean women are known for their beautiful skin, thanks in part to routine with 10 steps! This skincare practice takes dedication, time and willingness, as most people simply wash their face and go. I don’t do allllll of the steps lol. 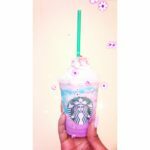 Many people pick and choose which is best for them. For me, I do about 6 of the steps every few days (Steps 1, 3, 4, 6, 7, 8 or 9 occasionally, but should be doing it more!) I’ll go further into my K-Beauty practices, but step 7 brings me to another favorite product that I happen to get monthly from an awesome group of women at Facetory. For only $5.95 + $2.95 s&h, you get 4 luxury sheet masks a month. 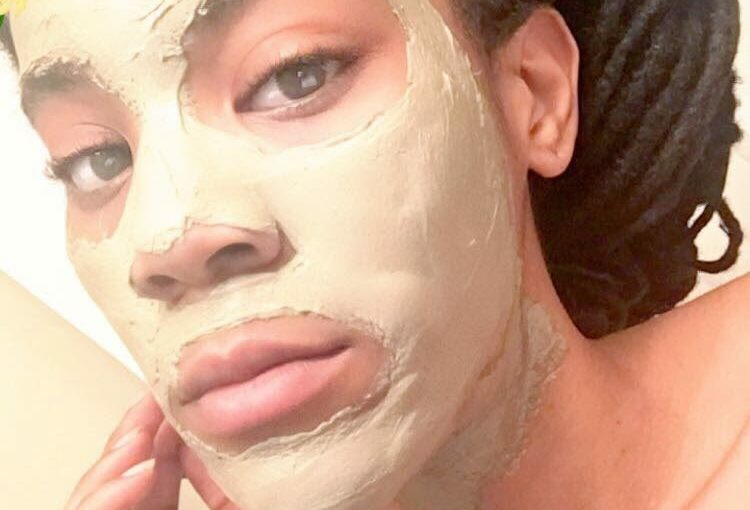 If you’ve never tried a sheet mask you’re missing out! Meant to soothe your skin and moisturize it with serums that are soaked up in a soft fabric. After exfoliating and toning, you gently lay your mask against your skin for 15 minutes. After that time, remove the mask, and gently pat the serum into your skin. I like to use the remaining serum on my neck and hands. When I tell you I sleep best after a sheet mask?! Sheeeeeesh. Just try it. Get 10% by clicking here 🙂 ->>> duh, I want soft skin too! Everyone has to find the products that work best for their skin, whether 10 steps, 2 steps, daily, weekly, or what! We’ve got to take care of our skin! It’s the first thing that introduces us as we walk into a room. 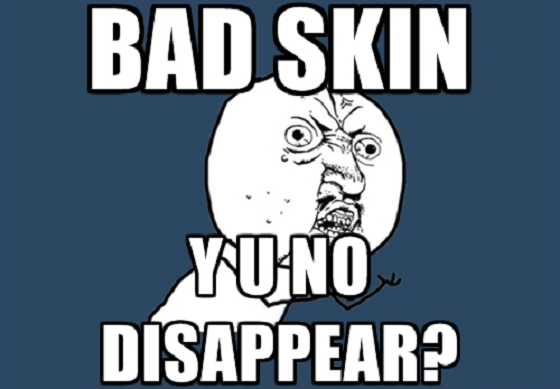 My skin is nowhere near perfect! I’m still learning from those around me and looking into the best everyday practices to pair along with these amazing products, as it’s not only about the products you use, but the life you live as well. If you begin to take care of it now, it will treat you well far down the line! Yes $7 rose spray from ulta! i def look forward to trying this and seeing how it works. Ive shyed away from even researching rose water, i assumed it was expensive *upside down smiley emoji. thanks for the tips dear! My pleasure! Mario Badescu is so much more affordable than I expected and I am in loveeee! Let me know what you think!! I can attest to the bentonite clay powder! I use it about once a week. When I’m feeling froffy, I’ll add honey and lemon zest or lemon juice to it. Sometimes I’ll add lavender toner as well! Love it! Froggy* darn autocorrect. I’ve been fighting with it for several minutes!! Omg! I’m going to try those ideas as well! !